Jitterbugz is a start-up business offering activity classes for pre-school children in Kent and East Sussex. Our brief was to create a fun brand which also reflected the learning opportunities which are integral to Jitterbugz’s classes. 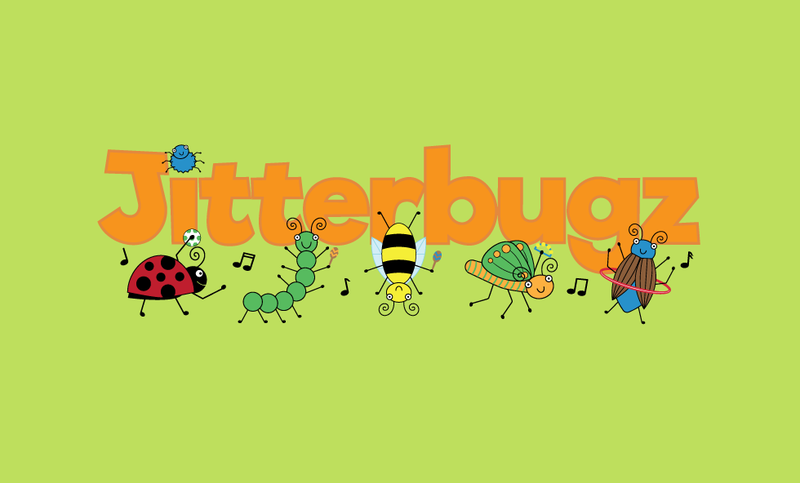 We enjoyed creating the Jitterbugz logo with its ‘bugz’ characters, ensuring a flexibility in design that would allow Jitterbugz to use the logo and characters across their online and offline marketing activity. 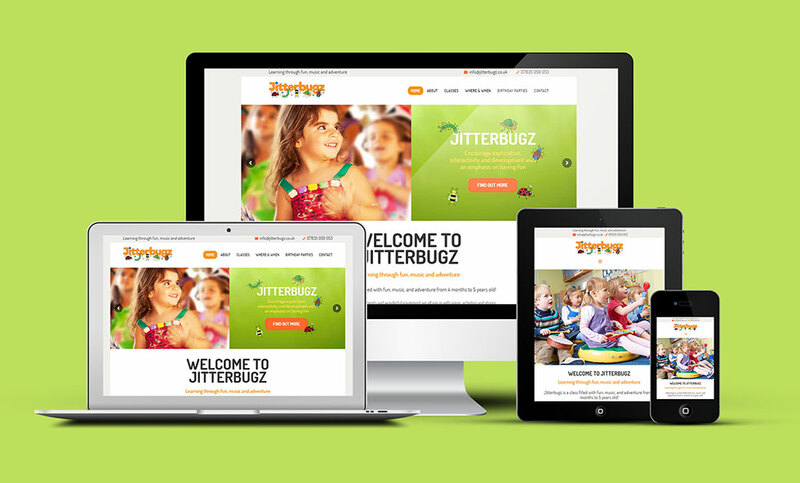 While retaining the whimsical style of the logo, the Jitterbugz website and Facebook page also contain plenty of information for parents about what their children will gain from these classes. 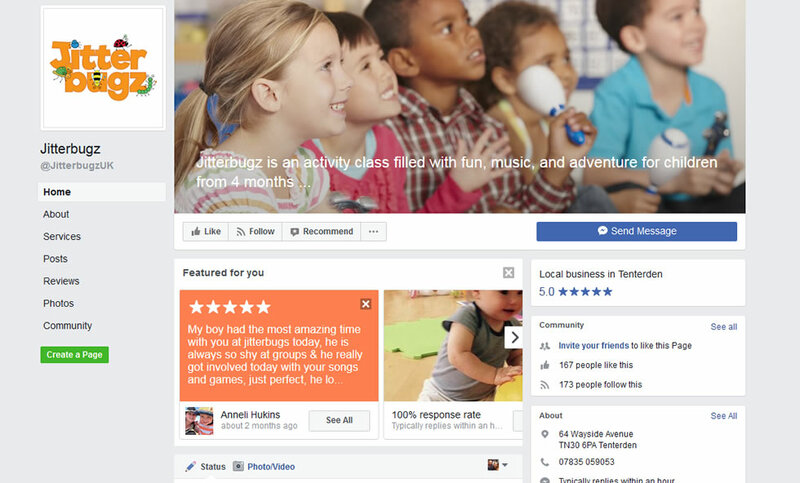 The integrated Jitterbugz Facebook feed enables important updates to be instantly displayed on the website (eg class cancellations) and the responsive design means the site works well on all devices – handy for Jitterbugz’s customers when they’re out and about. The Jitterbugz business is off to a brilliant start and, judging by the photos, great fun is being had by everyone! I am so happy with it all, and I love the logo. It has been great using the logo and bugs to make all the other marketing bits. Looks like a really strong brand. Absolutely thrilled!